Hello there, fellow dog lovers! How are you and your dog doing? We hope you guys will be healthy always, every day, and more. Hey, have you guys done some of our taming feral dog experiment yet? How’s it going? Is it going with a proper result? Or you got bit in the arm? Hehehehe, however no matter the result we always know that you always did the best in order to act as a true dog lover and savior. 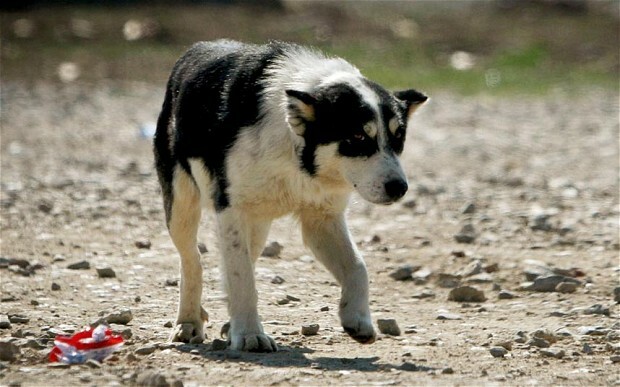 Also, sometimes if you are still do not have enough courage yet, you could ask some of other fellow dog lovers who had successfully tamed a feral dog. However, you need to be careful though, as a former feral dog still has the edge against stranger and she might bite you in the arm, why she is still acting like that? And how we trust a tamed feral dog? Curious? Check it out! The main question is How to Easily Socialize with Formerly Feral Dog, but there would be another question in order to answer that main question which is why a formerly feral dog become vicious towards another stranger even though her owner already tamed her? Well, some of writer friend had the exact experience with an ex-feral dog. One day he went to play with one of his fellow dog lover and he got excited that his friend had successfully tamed a feral dog she had found and then tamed thus now the dog has become an adorable lovely dog that act as great animal companion. However, when writer’s friend decided to approach the dog, he almost got bit in the arm and yup, he got shocked and asked why? Why the dog wanted to bite him in the arm? Why an Ex-feral Dog Become Vicious? Well, it looks like even a feral dog who has been tamed, she’s still has the trauma that was left on her street life. Just like us, it will never easy to overcome our pass and move on, right? We still stuck, and sometimes afraid that our past might happen again in our present time. Same does with an ex-feral dog, she is afraid that this stranger might want to hurt her again. Yup trauma is the first reason why an ex-feral dog wants to bite you in the arm. So, we already know what caused the dog want to bite some stranger arm even though the owner already tamed her before, yup trauma. Animallova have told you many times how to overcome a trauma that happened in our dog. Simply, just be careful and read our instruction carefully. Firstly, we have knew that the dog probably had a trauma before, so you must earn her trust back. It is not going to be easy, but in the end it would be worth it. A traumatized ex-feral dog who become vicious is not going to trust you easily. Which is why, animallova would ask about your passion and patient in order to become successful in this task. Are you ready or not? If yes, please keep reading. Next, as we know she is traumatized by stranger but not by her owner, so we could simply ask the owner to understand that we mean no harm to her. Ask the owner that you are doing this to help, tell the owner that you are one of the good guys. Then the owner must speak face to face with the ex-feral dog. Dog might not speak our language but believe us, dog could understand what we speak about though. In other words, letting the owner to ask the dog to recognize you as a good guy will be a great help on socialize with the dog in the future. After that, simply when we are visiting the dog; just don’t forget to bring her treat or food, just ask the owner about her favourite food. Then, try to call the dog and let her know that you are bringing her favourite food. Well, don’t expect her to approach you or trust you easily, as she might still reluctant to approach you after all. If this happens, then simply put the food on her bowl and let her know that you are the one who put the food on her bowl. If she knows that you are the one who put the food, she will start recognizing you and your kindness. Next, you just need to keep repeat and repeat the feeding on sight routine until she fully trusts you. The signs of her trust that she is now brave enough to approach you and take the food away straight from you. So now, there would be any long-distance feeding again. You could see her take her food away and bring it on her bowl, or if you are lucky enough, she would eat the food right in front of you. After she fully trusts you, then it is the time to give her chance to trust you even more. It is the time for you to try to pet her on her head and let her know that you are here, you are one of the good guys, let her know that you love her like her owner does. If she is responding well to your petting, then keep going on until she is totally comfortable with you. If you are lucky, she will offer to rub her belly, yup every dog would love a rub belly from someone their trust enough. Keep doing this until she get excited every time you visit her and congratulations, you have successfully gain a trust from an ex-feral dog. Well, that is not so hard is it? You just need to be patient and earn the dog’s trust to you. Even though it would not be an easy task, but as a dog lover it is an honorable task. So, are you interested on this experiment? Let us know if you want to do it or if you are already on it. Good luck!